The elegant curves and classic design of the English Church Pillar make it ideal for every day use in your home, bringing a magic glow to a romantic dinner or just creating a relaxing atmosphere. 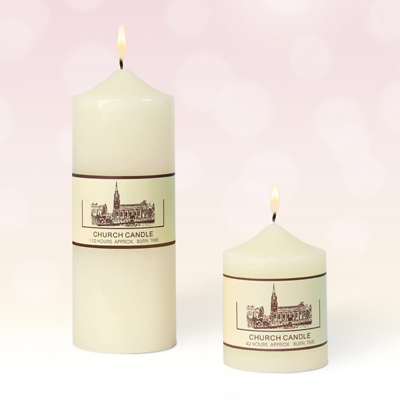 Unscented, these stately Church Pillar candles are crafted in the time honoured tradition and will complement any style of décor and are long-burning. Size - 9.5 x 7.0 cm, burn time 42 hours (approx). Size - 20 x 7.0 cm, burn time 110 hours (approx).